There are some comics I pick up and I know I just want to keep reading and reading. Evolution threw me for a loop initially cause there are four writers for this thing. As I gott into the story, I understood the need for the addition scribes. Evolution is set in four locations. One in the future where people have square heads, Philadelphia, Los Angeles, and Roma. 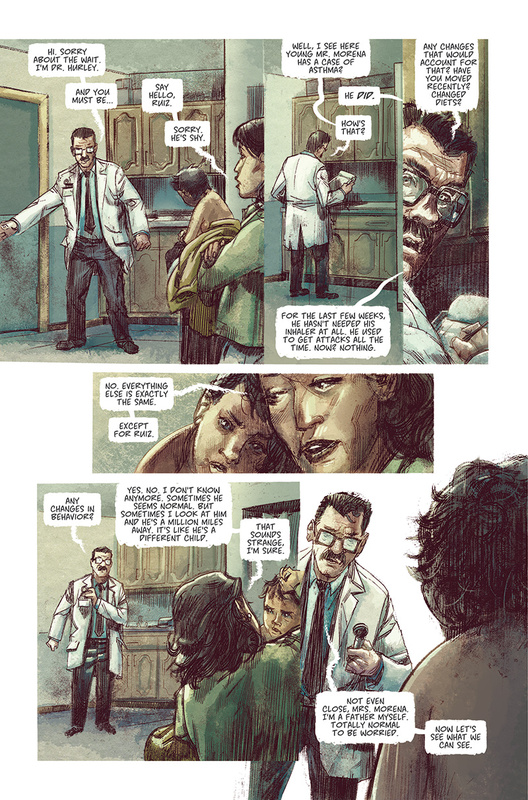 The story is an anthology of the horror type that shows people having some genetic issues. Having read this book I can already see this becoming a really fantastic movie. This is due to Joe Infurnari’s artwork. His style isn’t quite photo realistic but I can see every shot in the story lit up with the right light and darks. Our writers each tell us a little of their story at the end of the book and I can totally relate to where they are coming. I’ve seen each one of these types of characters in different types of media. I like this book and look forward to the next chapter and I hope it continues to grab me.